This entry was posted in patchwork, quilts and tagged pinning, sandwich. What a fun simple quilt! Reminds me of summer flowers. Thanks! 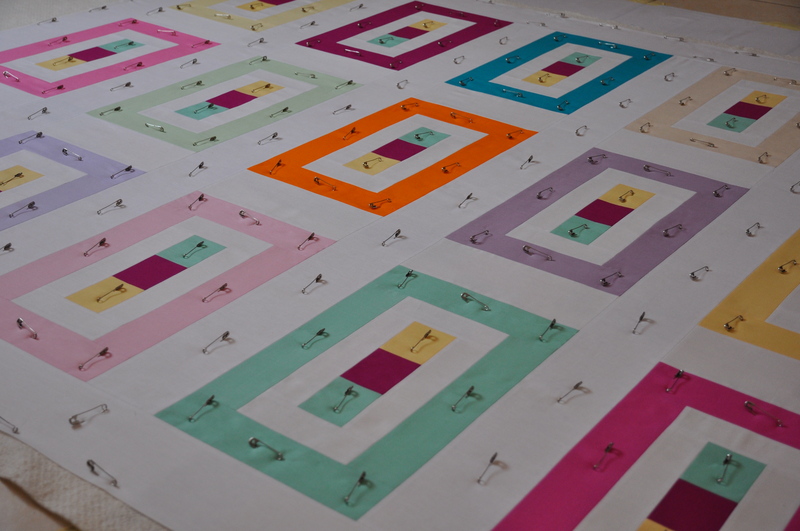 This top is prepared for quilting – got a lot of inspiration from your wonderful book. The colours are lovely together. This is a real summery colour treat 😀 Love the modern design too! I am waiting for some threads before I can start quilting!